SPANISH politicians have voted to exhume Francisco Franco’s remains. Opposition parties on the left and centre backed a motion 198 votes to one to remove the fascist dictator out of state-funded mausoleum Valle de los Caidos. But the right-wing PP Government is expected to resist the non-binding vote, on which 140 politicians mainly from its party abstained. The motion, called for by socialist party PSOE, was the latest in a growing number of attempts to have the Madrid-based site turned into a broader memorial honoring those who died on both sides of Spain’s 1936-1939 civil war. The PP believes doing so would only resurrect painful memories of the Francoist era. 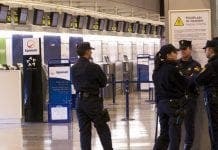 It has also insisted that keeping his remains there does not flout the Ley de Memoria Historica, created by the PSOE to safeguard the rights of victims on both sides of the Spanish Civil War. 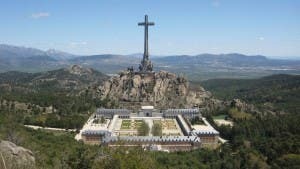 The monument, which translates into Valley of the Fallen, was opened by Franco in 1959 and also houses the remains of Spain’s fascist Falange party, Jose Antonio Primo de Rivera. It has long been a site of pilgrimage for far-right groups in Spain. “A site of pilgrimage”? No, it’s a focus for fascist nuts to parade their sick longings for the past. Shift his bones to a place where they will be inaccessible, preferably weighted with rocks and buried at sea.